As Catholics across Chicago mourned the passing of Cardinal Francis George, a group of dedicated leaders gathered at the Catholic Theological Union for IMAN’s annual community organizing training. 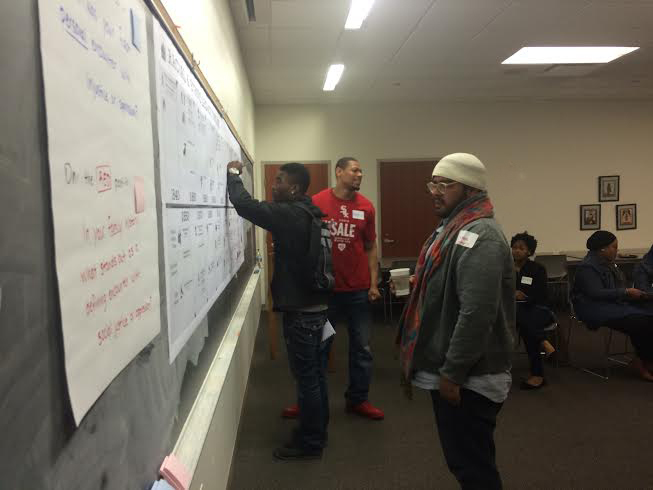 At a critical time for organizing work throughout the country, IMAN continues to refine a curriculum aimed at developing leaders with a real understanding of the basic concepts & principles of community organizing. 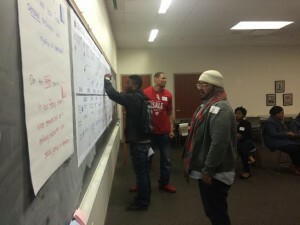 Twenty individuals arrived early Saturday morning and spent the weekend immersed in sessions that explored basic organizing themes and concepts, built meaningful relationships with one another, and examined IMAN’s unique organizing model. Powerful moments of inspiration, emotion, and connection were shared by everyone involved in the training, from new organizers to seasoned veterans. As people shared their stories and histories of struggle within their families, the group was able to draw very clear parallels between one another’s individual experiences. This is a crucial part of building a vision of a truly just world. It is in this same reflective spirit that we remember and honor Cardinal Francis George, whose commitment to justice touched the lives of millions and brought us closer to realizing the power of collective vision. This entry was posted in One Chicago, One Chicago One Nation, Organizing & Advocacy, Uncategorized by Sara Hamdan. Bookmark the permalink.